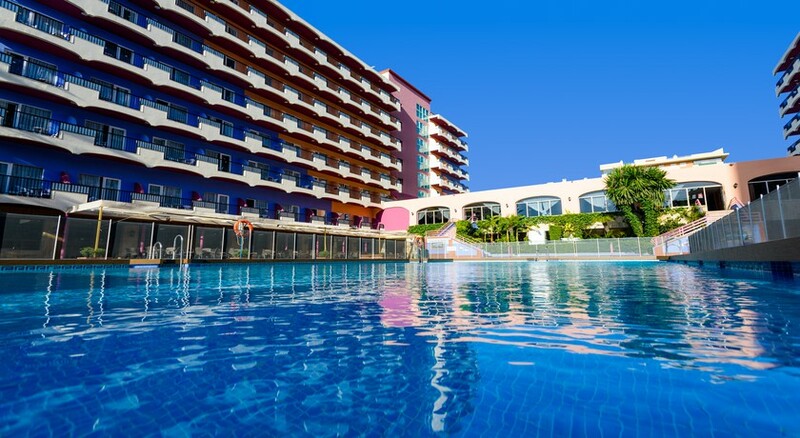 Set in a quiet residential part of the town, the Hotel Monarque Fuengirola Park is close to the Las Gaviotas Beach and has a range of facilities to suit couples and families with children. This property does not accept bookings from stag or hen parties. There is an on-site swimming pool, entertainment programme for all ages as well as an a la carte restaurant and pool bar. 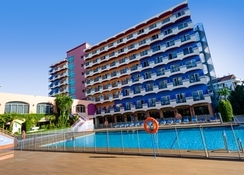 The hotel is in a great place to access many of the main sights in and around Fuengirola, which includes the Castillo de Colomares, several golf courses, the zoo and the Miramar Shopping Centre. 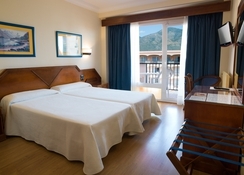 Hotel Monarque Fuengirola Park has everything you need for a break in the Costa del Sol. 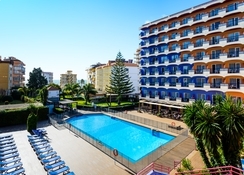 Hotel Monarque Fuengirola Park is around half a mile from the nearest beach and it’s a popular place to stay as the main sights in the area are easily reachable. 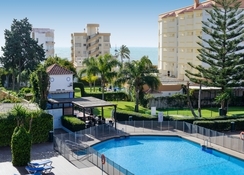 This includes the Castillo de Colomares (3.4 miles), the zoo (2.1 miles), Miramar Shopping Centre (2.7 miles) and the Benalmadena village which has a museum is 6.8 miles away from the property. The Malaga Airport is the closet airport to the hotel and is 10.1 miles away. The rooms at the Hotel Monarque Fuengirola Park all have air conditioning, satellite TV and a balcony with views of the surrounding area. You can book a Single Room if you’re traveling on your own, a Double Room for couples, and a Triple Room for three adults. There are also Double Rooms for two adults and one child or two adults and two children with a bunk bed. The Hotel Monarque Fuengirola Park has an a la carte restaurant which serves a wide range of local and international foods, while there is also a café and a bar at the hotel too. There are many eateries in the nearby area just a short walk away from the property which includes a Greek restaurant, seafood restaurant and tourist bars. Guests can have a splash in the large outdoor swimming pool and for kids there is a separate pool. The hotel has facilities for playing tennis as well as games rooms. They host an entertainment programme for both adults and children which includes live music and you can also indulge in the spa which has Turkish baths, sauna, a Jacuzzi and a range of massage treatments. There are many golf courses in the area with the closest being Mijas Golf Course which is 3.4 miles away. Disappointed that indoor pool/ jacuzzi closed soon after we arrived.